Sporobolus heterolepis or prairie dropseed, is a fine textured, clump forming perennial grass grown for its foliage and flowers. It’s native to the tallgrass and mixed grass prairies of central North America from Texas to southern Canada. In addition, it’s found further east, all the way to the Atlantic coast, though less common beyond the Great Plains. Deep rooted and drought tolerant, it’s one of the most elegant and refined of ornamental grasses. Sporobolus heterolepis produces delicate open panicles on slender stalks up to three feet high in mid-to late-summer. The foliage turns from a rich green hue to rusty orange in late autumn. It’s resilient enough to resist flattening in the snow and provides year-round interest. The inflorescence is strongly scented, which is unusual for a grass. This unique scent is unmistakable this time of year on the High Line. You will smell it right as you enter the Chelsea Grasslands, located between West 18th Street and West 20th Street. The scent is often compared to coriander or buttered popcorn. 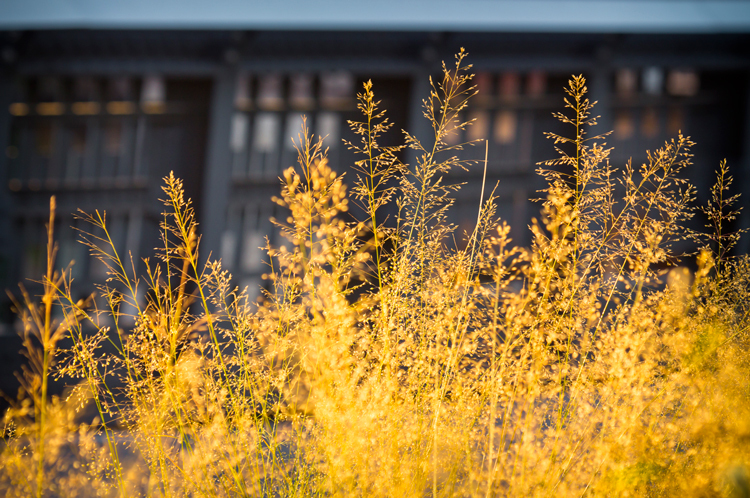 Rachel Hokanson, the gardener in the Chelsea Grasslands section of the High Line, thinks it smells like soap. It’s known as a very popular grass for prairie restoration as well as mixed perennial borders and mass plantings. Prairie dropseed is also often found growing along roadsides and train tracks. Sporobolus heterolepis grows in dry to moist well-drained soil in full sun. 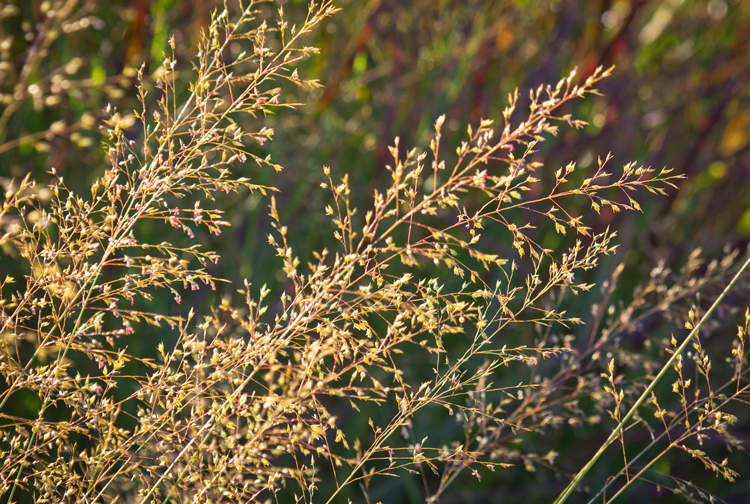 This warm season grass typically flowers late summer and retains interest through winter. Prairie dropseed works well with perennials and spring bulbs that bloom in time to hide dying foliage. Once mature, they are long lived and trouble free for the most part. Propagate by seed or division. Prairie Dropseed can be found in the Washington Grasslands and Woodland Edge (between Little West 12th and West 13th Streets), Chelsea Grasslands (between 18th and 20th streets), The Wildflower Field and Radial Plantings (between 27th and 30th Streets), and Pershing Square Beams (at 30th Street).